I’m happy to let you know that British Online Archives (BOA) have given us trial access to their digitised primary source collection Military Intelligence Files: Land, Sea & Air, 1938-1974. This collection provides access to secret British government files produced by the intelligence branches of the Royal Navy, British Army and Royal Air Force and will be of particular interest to those of you looking at the Second World War or the beginnings of the Cold War. 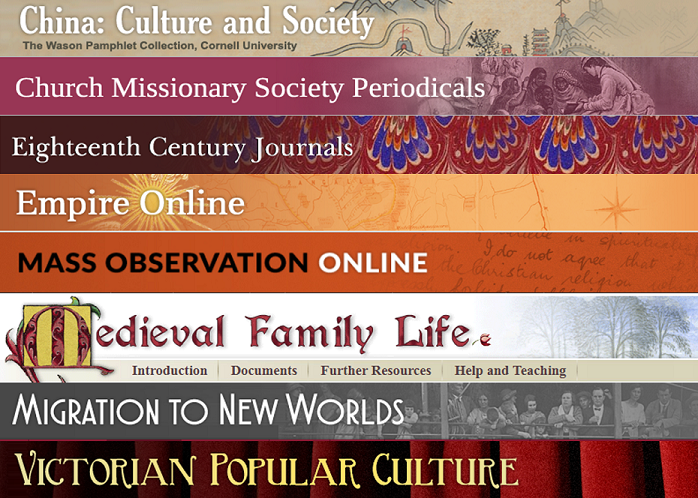 Trial access ends 9th May 2018. 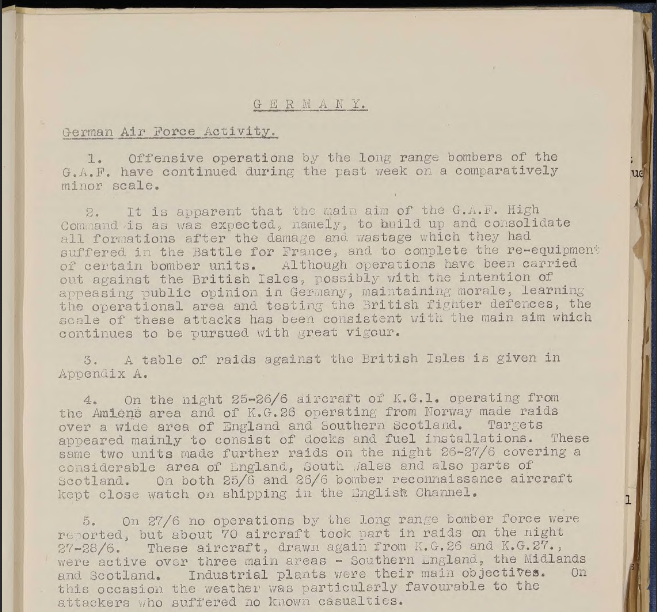 Screenshot from Royal Air Force: Weekly Intelligence, Jul 1940-Feb 1941 (Military Intelligence Files, British Online Archives).